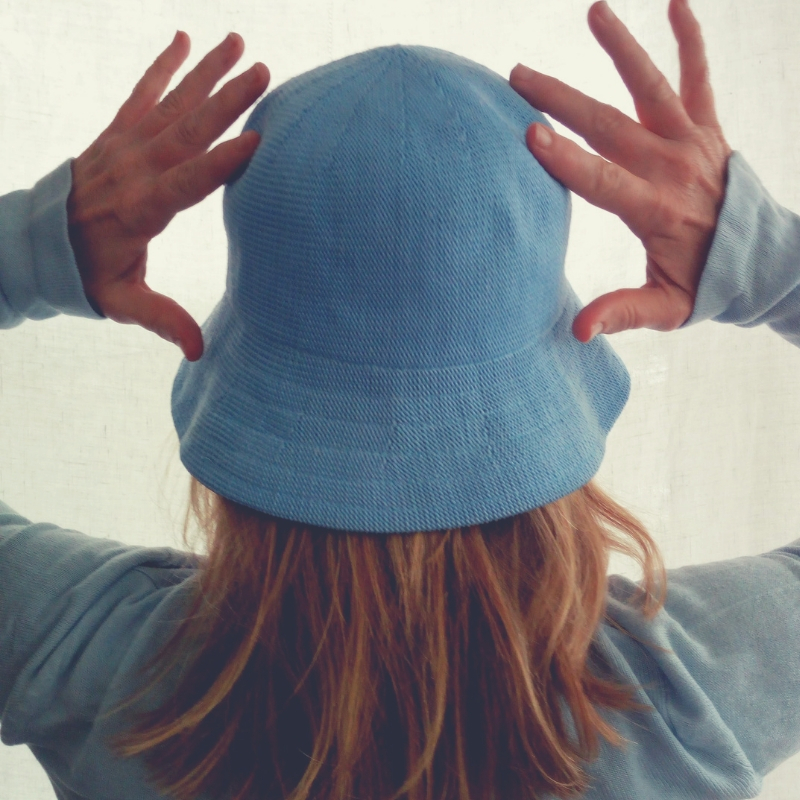 Now my first ever author talk, meet and greet, book signing circuit is over, I have had a chance to reflect on the whole nerve-wracking experience, and I realised that I quickly developed some coping mechanisms – one of which was wearing a hat! So when I recently heard author, Alison Tait, on the ‘So You Want to be a Writer’ podcast mention the authorial jacket she likes to wear when doing author talks, I knew exactly what she was talking about. My hat wearing happened accidentally, but it has become an emotional prop – to the point that if I don’t have a hat on, I don’t feel like D.M. Cameron. It isn’t a particular hat, any old hat will do – it gives me somewhere to hide and makes me feel safe. It began at my first author event in Adelaide where my publisher is based. It was the middle of winter, so before I left for Adelaide, I threw a hat into my bag at the last moment thinking it might be freezing that far south. At the first book store we went to, they wanted to take photos – which to my horror, I didn’t realise would occur as frequently as it did – and my hair was a mess, which is often the case, so I grabbed my hat out of my bag and plonked it on to cover up my unruly hair. My publisher, Anna Solding, said ‘The hat looks good. You should wear it’ – and so I continued to do so. 1) I never need to worry about my messy hair. I can’t be bothered with product and blow drying and styling. Who has time when there are so many words to write and stories to tell? One can simply pull a hat out of the bag and like magic, messy hair disappears. 2) It helps me step from shy Donna Cameron, into confident articulate D.M. Cameron…at least that is what I try and convince myself is happening, and most times it works, except for my first ever Q and A at Yankalilla Library where I completely froze, and my mind became a blur of white noise. After what felt like a ten-minute silence, I asked the interviewer to please repeat the question. Nothing could save me in that moment, not even a hat. 3) I am by nature quite an emotional person, so when I do feel shy or overly emotional, which has happened a few times – I blame it on the glass of wine I am always handed on arrival – I tilt my head, so the audience is blocked out and I take a moment to gather my thoughts. This came in very handy at my Avid Reader event when Ngugi elder Uncle Bob Anderson dubbed me as an honorary Oodgeroo (paperbark) woman. I was moved to tears and was able to hide under my trusty hat to pull myself together in order to speak. Now if I know D.M. Cameron needs to make an appearance, I don’t step out of the door without first throwing a hat into my handbag. If you, like me, at times find the whole author event phenomenon slightly overwhelming, I highly recommend the use of an authorial hat.